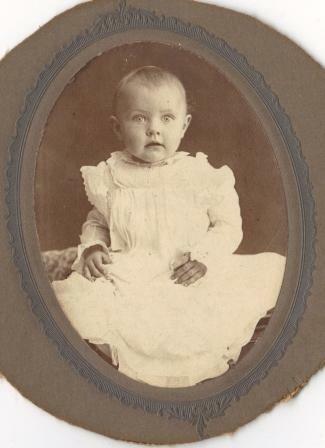 My mother-in-law, Emma Savina Deacon Ford, in a photo taken early in her life of almost 90 years. The family model in Scripture is not the atomistic family: dad, mom, and the kids. The Biblical model is the trustee family, with emphasis on health, education, and welfare of the family being maintained by a network of relatives. Because the church does not teach and maintain this Biblical emphasis, it has opened the door to the nanny state. There are so many things that fall to the trustee family to maintain. With families going in all different directions, one such area is the care of the elderly and the sick. If we endeavor to move away from the nanny-state, this means that the responsibility to care for aging relatives will logically fall to the woman of the house to oversee. One of the great learning experiences of my life was the opportunity and privilege of caring for my husband’s mother—my mother-in-law—in the last years of her life. Not only was it the correct thing in terms of God’s law, but it was a living example to my children that this is what family members do for each other. Today (September 26) marks the 113th year since she was born and the twenty-third year since she passed away. Emma and I developed a relationship that spanned fifteen years, with seven of them under the same roof. There were some bumps along the way that we had to work through with each other, but we managed. I saw my mother-in-law through two cataract surgeries, two hip replacements, and two mastectomies. I was also the person who informed my husband that he needed to get her to give up her driver’s license, because I knew she was a hazard to herself and others when behind the wheel. She knew I was behind this and didn’t talk to me for awhile, but because I became her regular ride to her many medical appointments, we were able to overcome that upset. I remember when she first moved in to our home in 1984. Her belongings arrived from Southern California to our Northern California home about a week after my husband flew down there so he could drive her to her new living arrangement with us. The garage ended up full of knick-knacks and odd trinkets that she refused to give up. She would say, “These are collectors’ items!” To which I would reply, “Only because you collected them!” We finally worked out a healthy compromise. She and I had many opportunities to talk and, although we had very different personalities (I tend to be talkative and she was understated most of the time), we had someone in common—her son and my husband. Then, when grandchildren came along, she was a tremendous help to me with support and advice. As a retired nurse who had done her share of home health in the early 1920s, she was use to being with families in a variety of circumstances. Towards the end of her life, I would get calls from her relatives or children of her friends asking me to let Emma know that someone had died. Because of her stoic nature, she always acknowledged what I said, but didn’t show much emotion. Yet, I could see that after living eighty-nine years, now with her parents, her sisters and brothers, and close friends from her nursing days gone, she wasn’t all that interested in continuing on. In fact, when one of her doctors wanted to do some tests for colon cancer, she told them that she knew they wouldn’t consider operating on her because of her age, and that she wouldn’t consent to chemotherapy or radiation. So, she asked me to tell them that there was no reason to do any testing. A number of days before she died, I was visiting her in a short-term rehab facility after her second hip replacement. I knew that with her congestive heart failure she didn’t have much longer to live, most likely not returning to our home at all. In a very tender moment, she looked at me and said very definitively, “You are the best thing that ever happened to me!” Not only did that surprise me, but that comment lingered on through my period of bereavement, as my constant houseguest for the past seven years was no longer around. I realize that our culture and media like to play up the mother-in-law/daughter-in-law antagonism, but that is not God’s way. And, despite the difficulties (of which there were a fair share), I can look back and know that I discharged my duties faithfully, and that I was enriched in the process by having that special relationship with a very fine lady. I love this article; it will help me going through those years that are ahead of me with a pretty healthy mother-in-law. Thank you, Andrea! !